When we think about evolution it’s important to remember that it doesn’t just concern biological species; evolution is also about how the entire Universe came to be the way it is. One of the key figures in this broadest view of evolution is Nicolaus Copernicus (1473-1543), a Polish astronomer who is considered to be the father of modern astronomy. As a student, however, he also studied mathematics, medicine and canon law. The most crucial of Copernicus’ conclusions is the central premise in his book De Revolutionibus Orbium Coelestium (On the Revolutions of the Celestial Spheres) which was published shortly before his death in 1543. In it, Copernicus argued that the Earth rotates on its axis and revolves around the Sun. Today, this concept may sound like a simple, matter-of-fact statement, but in the sixteenth century the idea that the Earth (and other planets) rotated around the Sun challenged long-held perceptions regarding the place of Earth – and man – in the Universe. For its time and in its context, it was a bold statement to make and given prevailing orthodoxies it took courage to do so. Copernicus’ staunch support of a heliocentric model can only truly be appreciated when placed in the perspectives of his time. In the sixteenth century most astronomers subscribed to a theory of the Universe laid down by the Greek astronomer Ptolemy over 1,000 years earlier. Ptolemy argued that the Earth was stationary (i.e. that it did not rotate on its axis) and necessarily it was the centre of the Universe. This earth-centred perspective was itself built upon the work of the philosopher Aristotle (384 BC – 322 BC). Before these ideas are dismissed as plain wrong, if not ludicrous, one needs to step back. Ptolemy was no fool, and his theory of epicycles was based on very careful astronomical observations. It had obvious difficulties (especially the so-called retrograde movement of Mars), but like any good scientific theory the epicycles theory could be modified. Of course, in the end the theory failed, but this in itself is a useful reminder that science is often provisional. To be sure, the heliocentric theory is as secure as anything we can imagine, but remember that our understanding of gravity (which is central to planetary orbital dynamics) is profoundly different from the time of Newton. That the Earth rotates around the Sun is today one of the fundamental pillars of scientific knowledge: without Copernicus there could not be Newton. It is a big idea, and these are milestones in scientific history. For the most part, science is a gradual, accumulative process with thousands of scientists around the world contributing to our combined pool of knowledge. 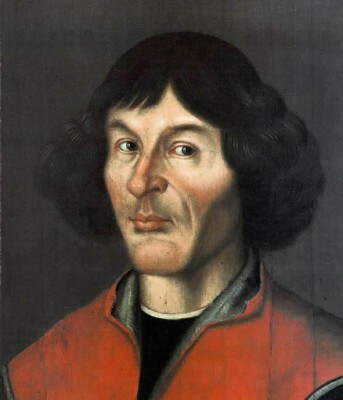 However, as the example of Copernicus shows, being a scientist may require one to stick a head above the parapet of established tradition by proposing new, paradigm-shifting theories – regardless of the potential backlash from the preconceptions of peers and/or society at large. To illustrate this notion further, let us consider another pillar of scientific knowledge, established three hundred years after the publication of De revolutionibus orbium coelestium. 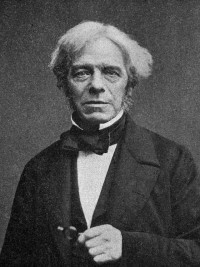 In the nineteenth century scientists such as John Frere, James Hutton and Charles Lyell strove to establish the great antiquity of man and in doing so demonstrate that the Earth was not a mere 6000 years old as a literal interpretation of scripture might have us believe, but potentially billions of years old (we now know the Earth is close to 4.6 billion years old). The idea of an ancient Earth was another long-established preconception challenged and overthrown through the rigors of scientific scrutiny. Again, as Martin Rudwick (2014) has shown so clearly the exponents of “shallow time” were no fools; the world-picture was as consistent as the evidence allowed. Nevertheless, where a preconception fell, a scientific pillar now stands. Without these great thinkers, without their dedication, perseverance and bravery, we would not have the enormous wealth of knowledge that we have today. Just as Charles Darwin may have delayed the publication of On The Origin of Species because of fears over how the concept may be received (although John van Wyhe offers an alternative perspective on this), so arguably Copernicus delayed the publication of De Revolutionibus Orbium Coelestium for fear of backlash from the Catholic Church. Big ideas in science are important, but they can also very often be expressed at a considerable personal cost, even risk; society is not always ready to hear truths which necessitate revision of long-held beliefs. To accumulate knowledge is an intrinsic and vital part of being a scientist, as is a devotion to impartial, objective thought, but one must also have the strength of character to speak one’s mind and stand by one’s findings, sometimes in the face of extreme adversity. The tragic case of the great geneticist Nikolai Vavilov is one such example and a salient reminder, but also a testimony to the moral fibre of such men and women who dedicated their lives to furthering our combined scientific knowledge. Rudwick, M.I.S. 2014. Earth’s deep history: How it was discovered and why it matters. Chicago University Press. Van Wyhe, J. 2009. Darwin. Andre Deutsch. 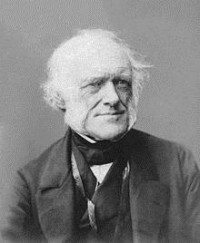 Charles Lyell was perhaps the most famous geologist of the nineteenth century, and one of the first notable scientists to throw their intellectual weight behind Charles Darwin’s theory of evolution by natural selection.